The Transforming the Instructional Landscape team is pleased to invite students, staff and faculty to participate in our upcoming What Makes a Classroom Great? event. Join us to explore different learning environments, imagine classroom possibilities and play with classroom furniture options. 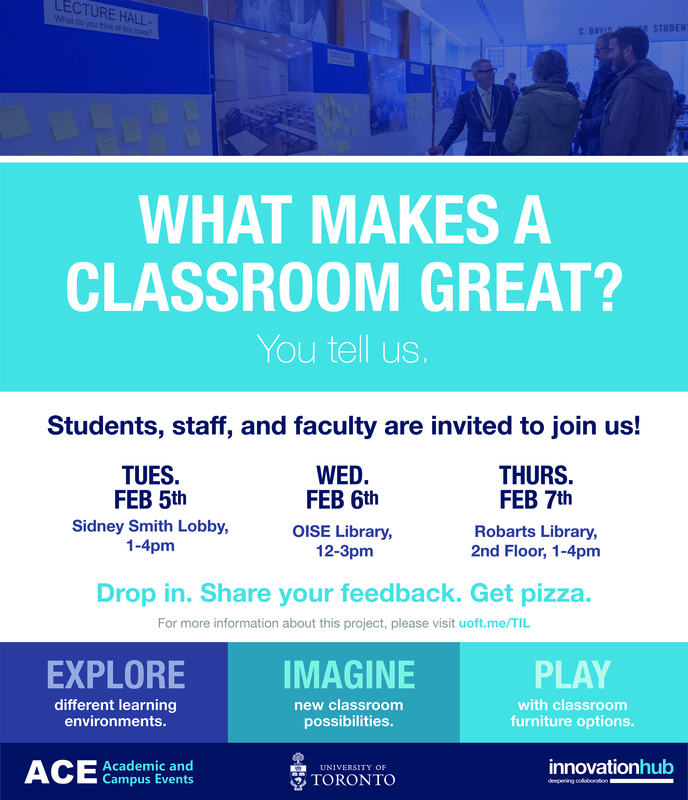 Come and tell us what you think and we’ll have free pizza as our way of thanking you for your participation.